The Museum of Contemporary Native Arts in Santa Fe, NM, is the only museum in the US dedicated to collecting and exhibiting the most progressive work of contemporary Native artists. 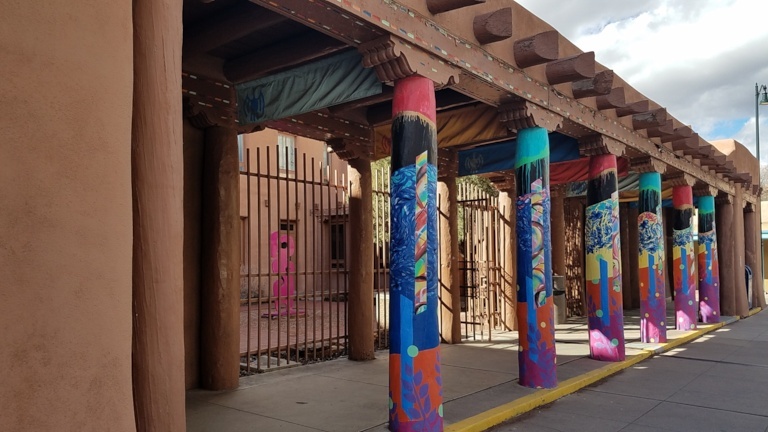 A fine-arts school in a fine-arts town, the Institute of American Indian Art (IAIA) offers academic excellence to both Native and non-Native students. 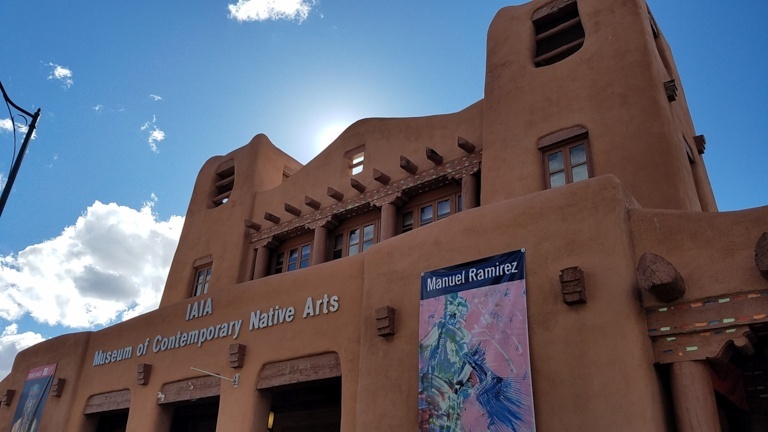 Named a top art institution by UNESCO and the International Association of Art, IAIA has taken its rightful place among the leading art institutions of the nation. The Museum of Contemporary Native Arts (MoCNA) is the IAIA’s face to the world. 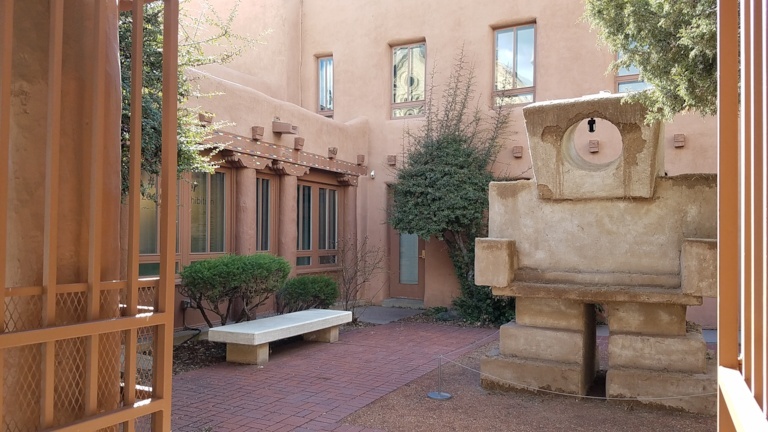 While the 140 acre academic campus is south of town, the Museum is located in the heart of historic Santa Fe, a block from the plaza, across the street from St. Francis Cathedral. MoCNA’s holdings of nearly 8000 works — all created since 1962 — represent the world’s premier collection of contemporary art by Native American, First Nations and other Indigenous peoples. Among the prominent artists in the collection are Tony Abeyta, Linda Lomahaftewa, George Morrison, Allan Houser, Helen Hardin, Truman Lowe, and Fritz Scholder – to name a few. 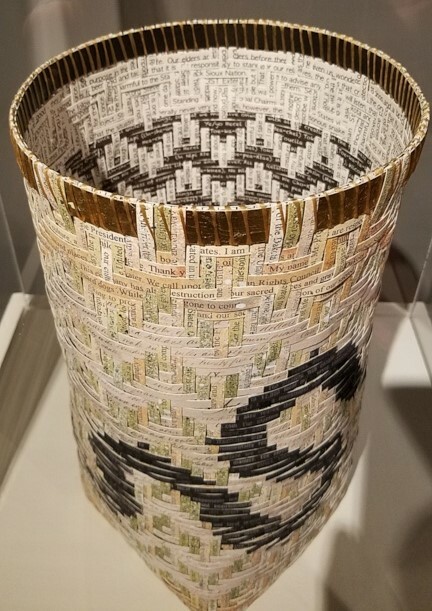 Comprised of paintings, works on paper, sculpture, ceramics, jewelry, photography, textiles, cultural arts, and new media, this unique collection documents the tremendous influence the IAIA has exerted on Native American fine art since its founding in 1962. Our recent visit to MocNA opened our eyes to the considerable creative contributions that Native artists have made and continue to make to mainstream art movements — without losing touch with their diverse cultural traditions. From the brightly-painted sidewalk colonnade in front, to the bright personality of the young woman at the welcome desk, to the expressive art itself, this was an illuminating experience. Although it’s not a large museum, the logic of the layout escaped me, so the proffered floorplan came in handy. The show highlights the distinct perspectives, traditions and experience of indigenous artists throughout North America. Curated chronologically, it charts the development of contemporary Native art and shows how indigenous artists have influenced the broader realm of global contemporary art. Those working from the 1950s to 1970s were well versed in the art styles and practices of their own cultures as well as popular American and European art movements of the time. 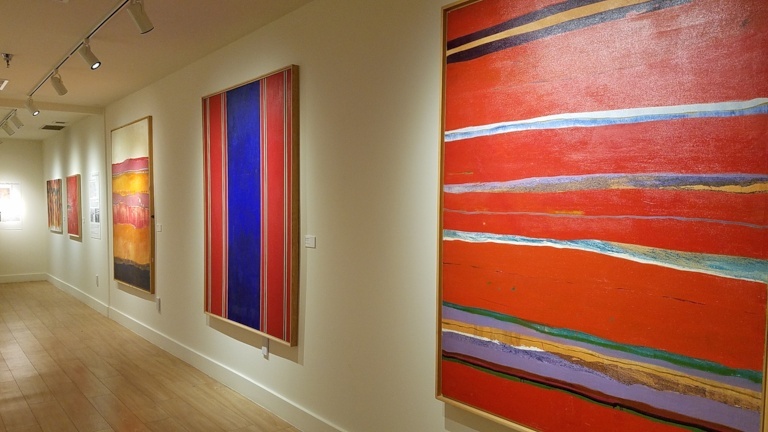 They often combined the geometric forms, gestural brush-strokes and vivid color of Abstract Expressionism to create art that was cosmopolitan while reflecting their tribal traditions. Shan Goshorn (Eastern Band of Cherokee, 1957-2018) Venomous, 2017. Arches watercolor-paper splints printed with archival inks, acrylic paint, artificial sinew, and gold foil. Interspersed with pieces by artists who were new to me are works by Fritz Scholder, Lloyd Kiva New, T.C. Cannon, Jaune Quick-to-See Smith, Jeffrey Gibson. In the Helen Harden Media Gallery, two feature-length films by Zacharias Kanuk Atanarjuat (Inuit) run on a loop throughout the day. “Atanarjuat, The Fast Runner” was showing when we were there. It’s a beautiful epic film about the Inuit peoples of the Canadian arctic. Reflecting universal truths, the film contemporizes the legend of an evil spirit that ruptures the trust within a close-knit group, how justice is achieved, and how healing begins. A prodigious painting by Kent Monkman pulled us in for a closer look. 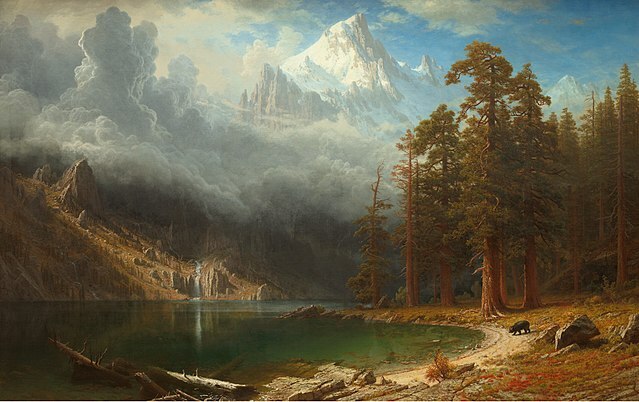 In a sort of Bierstadt-meets-Eakins scene, History is Painted by the Victors is a brilliantly executed riff on Bierstadt’s dramatic landscape, Mount Corcoran. Monkman has reproduced the spectacular scenery but has populated the foreground with two-dozen naked male figures. It’s 1876, and Lt. Col. George Armstrong Custer and his Seventh Cavalry relax lakeside, little knowing that they will soon be overwhelmingly defeated at the Battle of Little Bighorn. History is Painted by the Victors (2013), acrylic on canvas. Monkman makes a pointed statement about the iniquity of the European-American conviction of Manifest Destiny to justify the expansion of the US across the land – but it’s done with humor. “Wearing high-heeled neon-pink boots, the artist’s alter ego, Miss Chief Eagle Testickle is shown at her easel, repainting history” — looking out at us with a wink. Another exhibition, IAIA 2019 BFA Exhibition #NoFilter (on through May 18, 2019) offers some impressive work by IAIA seniors trained in studio and cinematic arts. 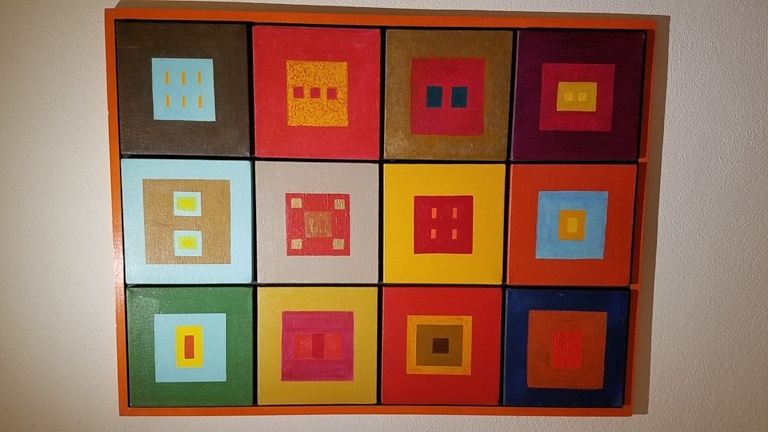 The quality of the work in the show assured us of the IAIA’s continued reputation for excellence. The exhibition of Permanent Collection paintings and works on paper, Action/Abstraction Redefined (on through July 7, 2019) considers work created in the 1960s and ‘70s. 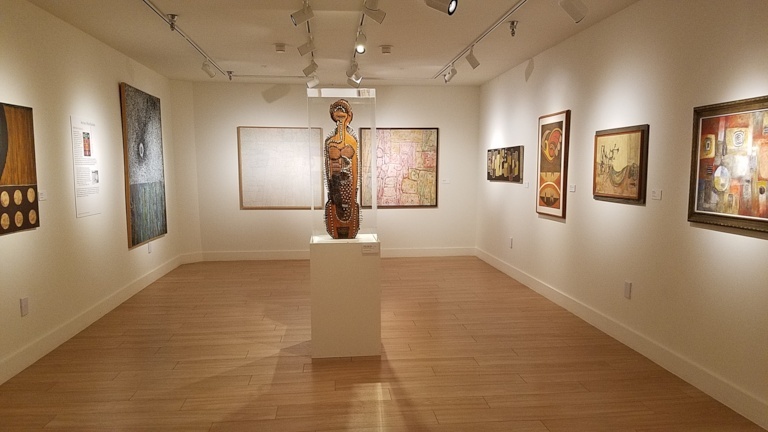 The show explores Native artists who challenged stereotypes and expectations about Indian art by combining mainstream modernist approaches like Abstract Expressionism, Color-Field and Hard-Edge Painting with their culturally-influenced aesthetic. 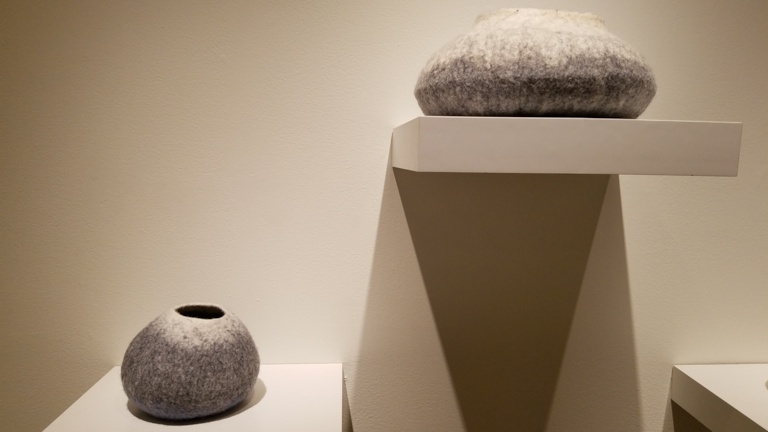 Many of the works in this show were created by early IAIA students. 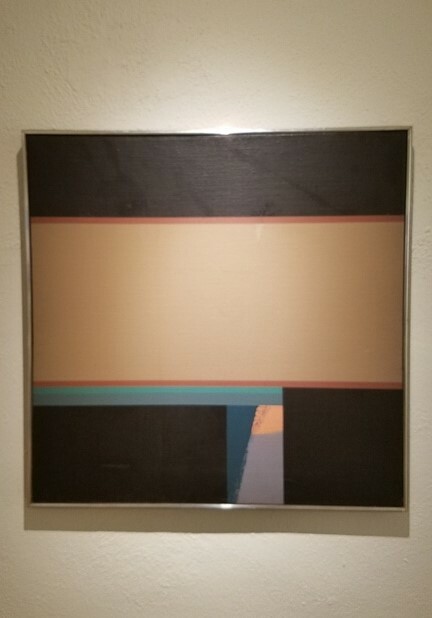 Hard-Edge differs from Color Field Painting in that it is known for smooth surface planes, clean lines and flat, bold colors. This piece by Neil Parsons is a stunning example. As American Abstract Expressionists broke from conventions of representation, so too did American Indian artists working in the 1940s produce highly-individual experimental works that challenged expectations about Native art. While it tends to be overshadowed by the Georgia O’Keefe Museum and the New Mexico Museum of Art — the two most-visited art museums in the historic plaza area — MoCNA is an important museum in its art historical niche. We highly recommend a visit. You’ll be glad you did. An engaging hour or two will broaden your understanding of the importance of Native artists in American art. Hmm … Maybe it’s time to plan a little trip! Free to NM residents any Sunday. It’s always a good idea to call to verify before your visit.